Home » awesome duuuuuuude , back to the future , hoverboard , mattel , toys » Want a REAL Hoverboard from Back To The Future? 'Course ya do! 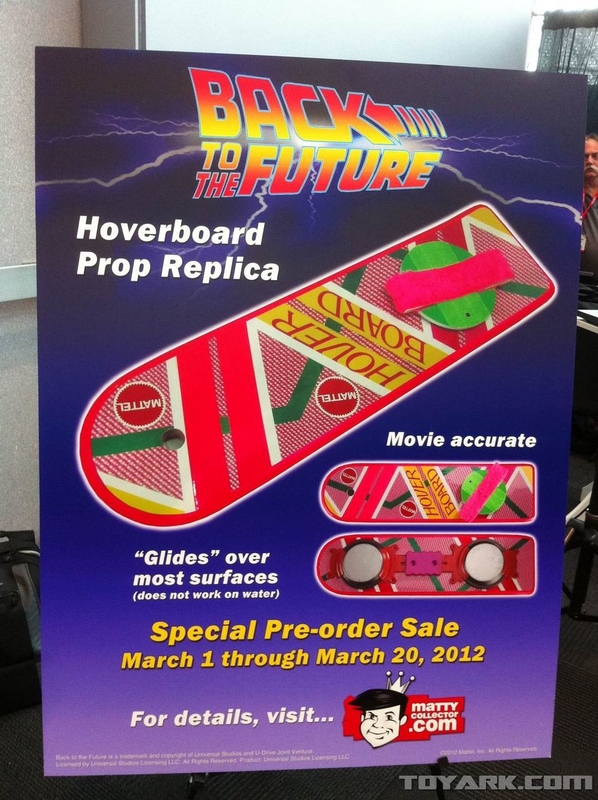 Want a REAL Hoverboard from Back To The Future? 'Course ya do! More than 22 years after its cinematic debut and after jillions of rumors about "Mattel is really coming out with a working hoverboard! ", guess what: Mattel is coming out with a hoverboard from the Back To The Future trilogy! Except it won't actually hover (the press release teases that we should "check back in 2015 for that feature"). And it won't work on water, 'course anyone who's seen Back To The Future Part II already knew about that liability. This is going to be a pre-order item: Mattel needs a minimum of purchasers before putting this thing into production. I highly doubt that'll be a problem though, even considering that this is prolly gonna cost a coupl'a hundred bucks.